Broccoli, an alkalizing food, high in calcium, containing compounds for fighting cancer, and an amazing food overall. This easy, oven roasted recipe can also be used with brussel sprouts, cauliflower, carrots, parsnips, sweet potatoes, egg plant and even cabbage quarters. Clean broccoli and separate into small bit size pieces. Drizzle with olive oil, spritz with fresh pressed lemon or lime juice, and season with sea salt. 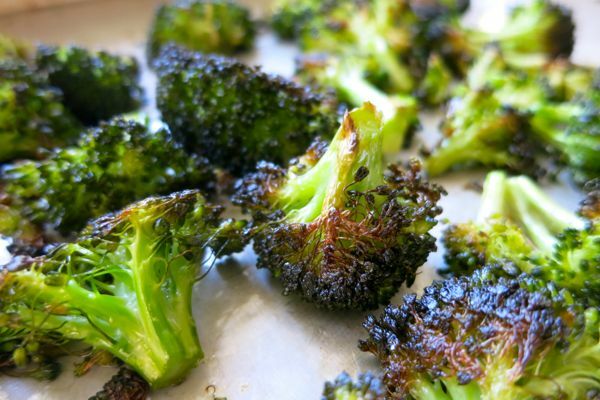 Using a cookie sheet, spread broccoli out and roast in an oven set at 450 degrees, stirring every 5 - 10 minutes. Roast until slightly tender and starting to char. Can take as long as 30 minutes. No rules for adding your choice of herbs. Standard favorites of mine include garlic, red pepper flakes and Herbs De' Provence.